Heavy rain is tormenting Peru with landslides and widespread flooding, resulting in at least 26 deaths. In the greater Lima district of Lunahuana, a landslide crashed down across a highway. Fortunately no vehicles were caught underneath. Close by in the town of Chosica, a ravine collapsed, sending muddy water gushing across the road. Landslides and floods have left residents desperate for help. 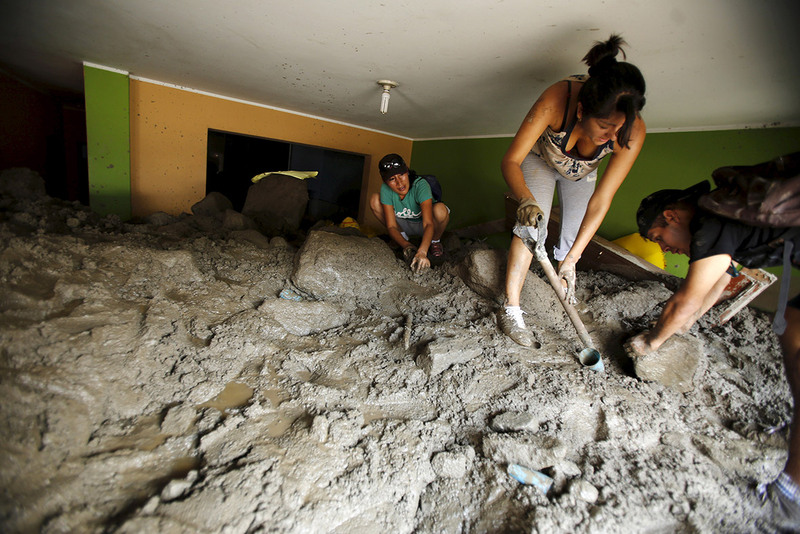 In Piura, they're trying to salvage their belongings after rainfall unlike anything they've seen in 30 years. The floods have already killed 26 people across the country and displaced almost 250,000.